LEWISVILLE, Texas (December 7, 2016) – The renovation and expansion of the Apollo Career Center in Lima, Ohio, was necessary because of steady student body growth since the facility opened in the 1970s. Metl-Span insulated metal panels were an important component in updating the look of the facility and helped the project apply for LEED Gold status. “That’s what we’re anticipating, LEED Gold status,” says Laura Little, ASID, LEED AP BD+C, of Garmann Miller in Minster, Ohio. This was the third summer of construction at Apollo Career Center, a $53 million project. The new facility is 224,000 square feet, more than 100,000 square feet larger than the facility of two years ago. Renovations included adding 22 academic rooms as well as three labs, plus technology spaces. Apollo added a high school multipurpose room, additional auto and carpentry work areas, a welding lab and student resource center. Apollo celebrated its 40th anniversary in April. “The school was undersized for the number of students, so the expansion was necessary,” Little says. “One thing we were trying to do is update the appearance of the facility so it didn’t look like a 1970s building. 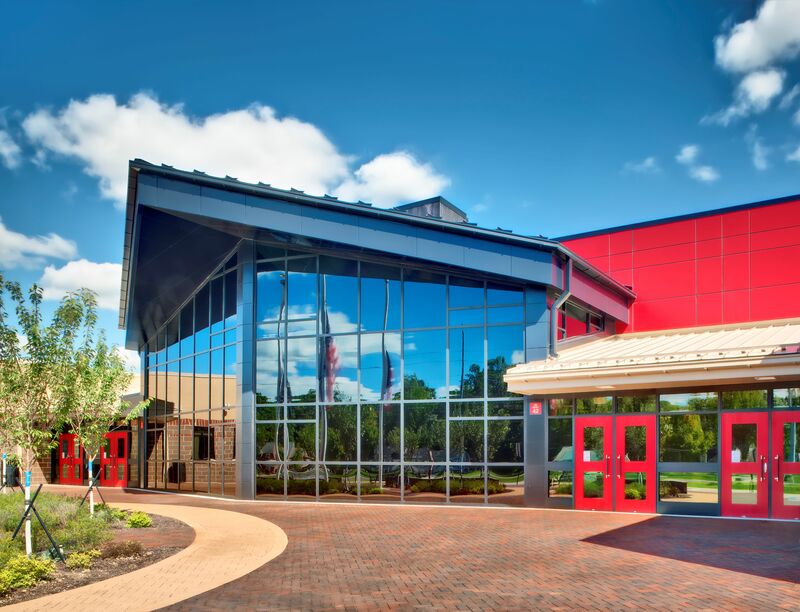 The goal was a state-of-the-art facility that looks like a state-of-the-art facility and as a perk, we were able to incorporate Apollo’s colors, red and black, into the renovation and addition. Little says the insulated metal panels were able to help with the overall appearance of the building because the larger pieces helped provide a clean appearance. In addition to the insulated metal panels, windows for daylighting and insulation to the existing structure were added to help move this project towards the goal of LEED status. 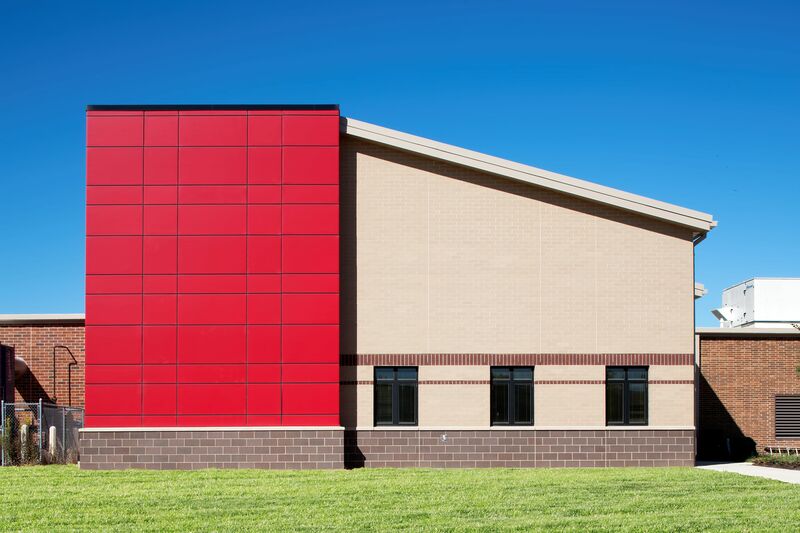 Two colors of Metl-Span’s 2-inch insulated metal panel – Bright Red LG and Textured White MM – were installed on the Apollo Career Center. Steve Elston, project manager for Bruns Construction Enterprises of Celina, Ohio, says the project was unique and challenging. The Textured White insulated metal panels were delivered with a stucco-type coating. 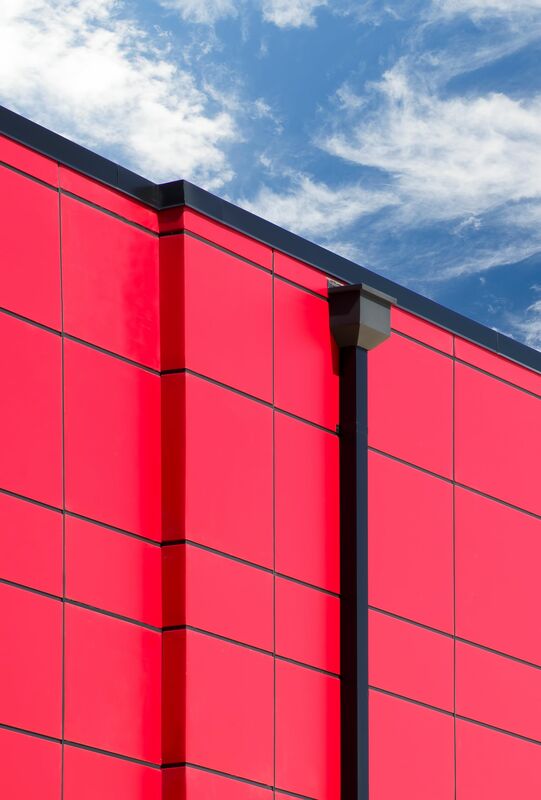 The Bright Red panels, featured a PVDF finish on 22-gauge Galvalume and were ordered only after the framing was constructed.